מה אתם אומרים - מנוחה היא באמת "קלפטע"? Bubbe’s use of a mild Yiddish curse word is not just for comedic effect, but also serves as instruction for Shulem. Shortly after Bubbe’s outburst towards Menucha, Shulem breaks off the engagement with barely any explanation. Functioning as a one-woman chorus, Bubbe’s Yiddish outburst reveals a truth that could not be expressed in the Hebrew in which Menucha and Shulem converse: Menucha is not emotionally honest or engaged, and despite being close to the family she lacks proficiency in their language of intimacy. 2 2 Not to mention that klafte comes from the Hebrew kelev [dog]; what a strange thing for mother and son to be united over a pejorative term for a woman, in the feminized language of Yiddish. This conflict over Bubbe’s use of the word klafte prompted me to wonder what Shtisel’s success says about the intersections between Yiddish and Israeli popular culture, and what Yiddish on Israeli television can tell us about Zionism and its linguistic discontents—especially Arabic, the language of Israel’s biggest minority. What does Shtisel’s Yiddish say about this minoritarian moment in Israeli television? At present, there is unusually high interest from viewers in seeing depictions of Israelis beyond the overly-represented secular culture of Tel Aviv. I wondered, how does linguistic diversity contribute to an understanding of Israeli popular culture—especially when considering a language despised by so many Zionist thinkers? 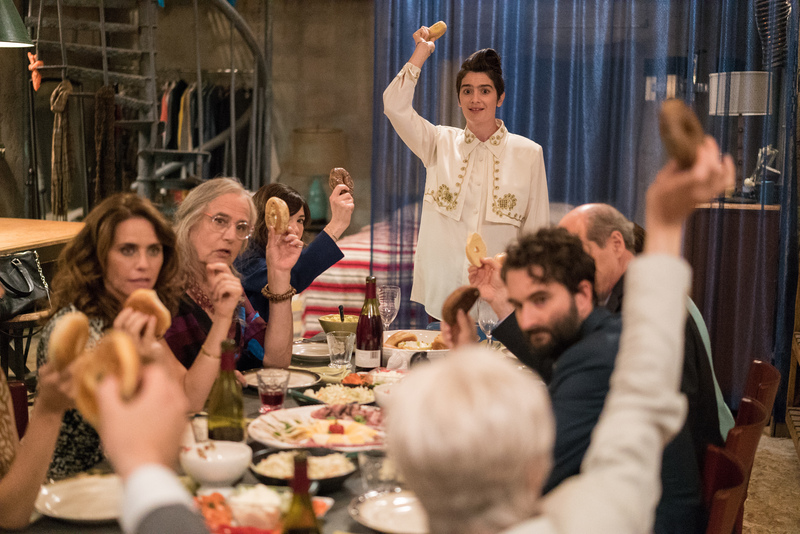 Shtisel recently completed its second season, and the show is part of a trend of increasingly diverse representation in Israeli film and television. The series focuses largely on the saga of the Shtisel family, and in particular on the father-son duo Shulem and Akiva Shtisel, after the death of Devora, their respective wife and mother. Shulem is the principal of a cheder, a Haredi elementary school for boys, and he struggles to balance his grief with his desire to find a new spouse while caring for his aging mother. Akiva, an over-the-hill bachelor at twenty-seven, is negotiating newfound feelings for his first cousin Libi as he attempts to professionally pursue the visual arts, a career path that baffles and upsets his father and extended family. In addition to receiving significant critical and popular praise, Shtisel has also been lauded by the ultra-Orthodox community for its nuanced portrayal of Haredi society. Lead actor Dov Glickman (Shulem) compared the show to The Sopranos, but with cholent instead of violence. Many reviewers commented on the show’s authentic feel, part of which is due to its extensive use of mame-loshn. While the majority of dialogue is in Hebrew, several scenes in nearly every episode take place completely in Yiddish. Even when speaking Hebrew, characters often sprinkle their dialogue with Yiddish sayings or Hebrew words pronounced in an Ashkenazi accent, indicating a syncretic Israeli Haredi Hebrew which mirrors similar dialects in American Ultra Orthodox communities. Tamar Ben Baruch, an assistant director and producer for the show, spoke with me about how Yiddish made its way onto Shtisel. 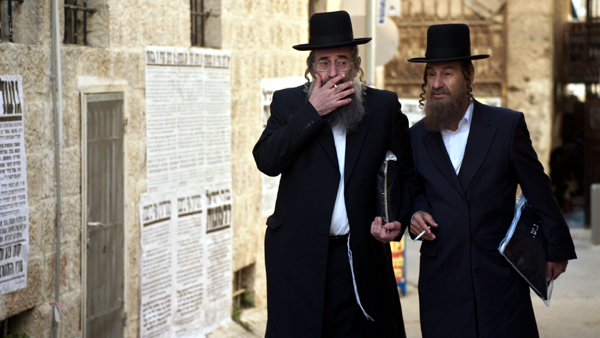 The show’s creators wanted to include Yiddish on the show in order to reflect the realities of Haredi life in Israel. However, the question of how much Yiddish to use was a constant point of discussion during the writing and editing process. One of the most consistent questions was when characters should speak Yiddish. In other multilingual Israeli television series, it was obvious that characters would speak their minority language (i.e. Russian or Arabic, or even Moroccan-Judeo Arabic slang) amongst their families and in their homes, while speaking Hebrew when interacting with the larger Israeli public. But the uses of Hebrew and Yiddish in the Haredi community are not as clearly delineated. WIth the exception of a very small minority of Haredim who reject modern Hebrew, Israeli ultra-Orthodox Jews freely mix Yiddish and Hebrew in their everyday conversations for both work and pleasure. The show’s writers also debated whether age or gender should dictate language choice. For example, both Shulem and his brother Nochem are fluent in Hebrew, but they tend to speak Yiddish to one another, which the writers use to emphasizes both Nochem’s lack of Israeliness now that he has chosen to live abroad, as well as the brothers’ connection to Bubbe Shtisel, who is far less fluent in Hebrew than in her native Yiddish. The show’s setting in the Geula neighborhood of Jerusalem indicates that while the characters are fully Haredi, they are more open to secular society than their neighbors in Mea Shearim, which is known for religious extremism. Geula’s moderation is reflected by the characters’ frequent use of Hebrew in daily life. As a general rule, the older the character, the more they speak Yiddish in their daily life. Yet the younger characters clearly understand Yiddish, even if they speak it less frequently, reflecting the increasing integration of Haredim into wider Jewish Israeli society. Yiddish dialogue in the show poses two additional challenges. First, while writing the first season, the creators of Shtisel worried that given the show’s unusual subject matter, the use of Yiddish, even with Hebrew subtitles, would further alienate potential viewers. Therefore, in the first season, they minimized its use. Secondly, writing and filming scenes in Yiddish was a huge amount of work for the writers and actors. Scenes were written in Hebrew, and then translated into Yiddish. The show hired consultants from the Haredi community to help with pronunciations, mannerisms, and other specifics. Several of the actors, especially the older ones, had a working knowledge of Yiddish, while others listened to Yiddish-language materials to gain a familiarity with the language. During post-production, the consultants screened the raw footage for accuracy so that the team could correct mistakes when possible. Budgetary and other practical constraints limited the amount of Yiddish dialogue. But after the success of season one, the staff decided to include more Yiddish in the second season in order to more accurately reflect Haredi life. Even in the first season, the show exhibited the most Yiddish ever seen on the small screen in Israel or abroad. Yiddish made periodic appearances on Israeli sketch comedy skits in the 1960s and 1970s, and more recently a handful of shows, most notably Merḥak negiah [A Touch Away], featured small amounts of Yiddish dialogue, but nowhere close to the level seen in Shtisel. While exact numbers are not available, Tamar estimates that up to 20 percent of some episodes take place entirely in Yiddish. Furthermore, the show incorporates a significant amount of loshn koydesh, using Hebrew and Aramaic phrases that emerge from the canon of Jewish religious texts such as the Torah or Talmud. Loshn koydesh phrases are pronounced with a Yiddish accent instead of the modified Sephardic accent of Modern Hebrew, to indicate their distinct and elevated status. Several of the characters have their own loshn koydesh catchphrases, including Shulem’s “khosdey hashem” [God’s kindness], a similar analog to borukh hashem [Thank God]. The show’s success gives hope to artists working to promote Yiddish in their own work, and offers visions of how to incorporate the language into works meant to reach beyond the Yiddish-speaking world. Similar to other popular shows that focus on minorities in Israel, several of the show’s expressions have entered mainstream Hebrew. Some newspapers have even published lexicons to aid less-educated viewers. Personal favorite phrases include “He went to sell beygelekh” [“He went to sell pretzels,” meaning the person in question has passed away] and the loshn koydesh expression “resha’im arurim [Cursed wicked ones],” the favorite insult of Uncle Nohem (Sasson Gabai), which inspired one fan to create the catchy Resha’im Arurim remix. 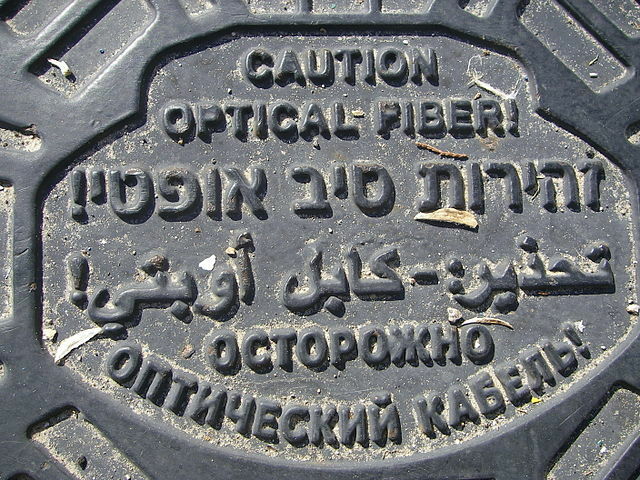 A manhole cover in four of Israel’s many languages, via Wikimedia Commons. Learn more about Israel’s many languages here. What can we learn from Shtisel’s Yiddish? I offer two thoughts. Firstly, the Yiddish of Shtisel offers a post-vernacular Yiddish different than the standard American formulations and reminds us to think more expansively about Yiddish in non-American contexts. Yiddish in the series is ever-present, not only when its characters speak entirely in Yiddish, but as part of a larger constellation of languages and cultures in the Israeli Ultra Orthodox community. Yiddish and Hebrew coexist and co-influence each other, and the very notion of loshn koydesh further complicates clean boundaries between the two in contemporary Israel. 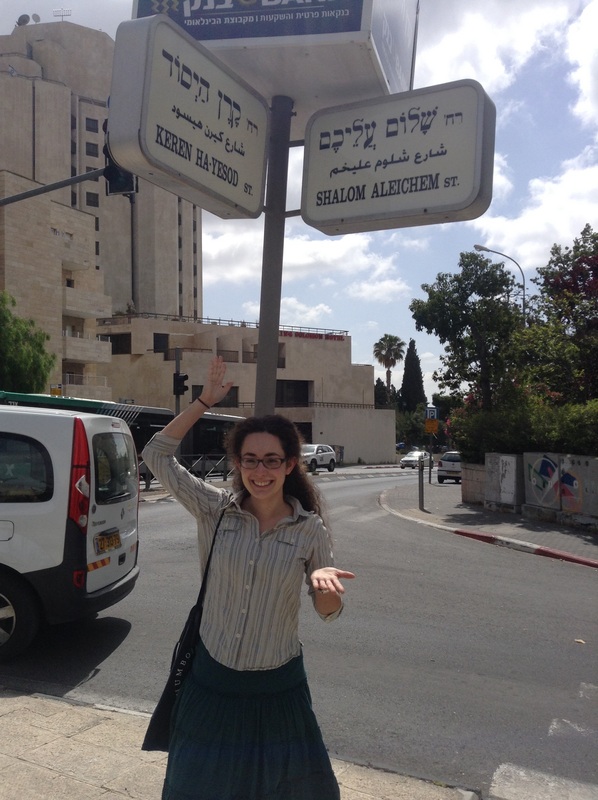 Haredi life is far from static, and its linguistic landscapes reflect that complexity. Local politics matter, as we are reminded when Shulem’s brother Nochem, who lives in Antwerp, mocks Shulem for submitting to Zionist influences. Secondly, the show’s Yiddish forces us to think about politics of multilingualism in contemporary Israel more broadly. Shtisel reminds me of what Liora Halperin demonstrates in Babel in Zion: that a monolingual yishuv in Mandate Palestine was far from the reality. Rather, Jews used multiple languages in their daily lives even while promoting Hebrew. The Yiddish of Shtisel mirrors a long tradition of Israeli multilingualism amidst Hebrew dominance. For many non-Haredi Jews, the Yiddish of Shtisel is both exotic and familiar. The historical disdain for Yiddish as zhargon, inferior to Hebrew, is absent from the show. It is absent both because Yiddish no longer threatens Hebrew’s dominance, and because the fracturing of the Zionist narrative creates entry points for narratives previously absent in Israeli popular culture, including the bilingual saga of the Shtisel family. Yiddish seems both stickier and more flexible than other minority languages in the Israeli public sphere. Though there may be a potential for minor language solidarity in Israeli TV, in Shtisel, the boundaries between Hebrew and Yiddish are more fluid than they are for Hebrew and Arabic because its characters do not share the same concerns of discrimination when speaking Yiddish. The popular embrace, in newspapers and talkbacks, of Shtisel’s Yiddish stands in contrast to the unease with which Arabic is received in Israeli society, even on television; Yiddish is a softer, safer other for mainstream Jewish Israeli viewers. Yet Yiddish is not feminized and defanged, 4 4 Nevertheless, plenty of prejudice against Yiddish and Haredim still exists in Israel today. because Shtisel succeeds in challenging those stereotypes by displaying the breadth of Yiddish in the Israeli Hasidic context. Shtisel also humanizes Israeli Haredim, whose reputation among secular Israelis is often stereotyped to the point of invoking anti-Semitic tropes. Not all non-Hebrew languages in Israel are created equal. Yet Arabic and Yiddish in Israel share more than one might think, and this reality is expressed curiously in the show. In one of Shtisel’s most moving scenes, there is a romance of sorts between Bubbe and an elderly Mizrahi man in the nursing home. When they are together, he speaks only Arabic, while she speaks only Yiddish. Yet neither one seems to notice the lack of mutual comprehension, and they connect via their non-Hebrew languages in a way that horrifies Bubbe’s children. The seeming impropriety of their relationship is made worse by her paramour’s Mizrahi background, and Shulem acts quickly to end the romance. This scene reinforces connections between Israel’s disparate minorities, despite its absurdity and quick erasure. The common cause between Bubbe and her lover is one created by Hebrew dominance, a force so crushing that at times resistance to it unites subjects who otherwise do not have much in common. As Bubbe’s romance indicates, Yiddish in Israel is deeply connected to Arabic, whether it is the almost-eradicated Arabic of Mizrahi Jews or the Arabic of Palestinian Israelis. Israeli Yiddish exists not just in relation to Hebrew, but to Hebrew’s other others as well. All Israeli television is subtitled, even when in Hebrew, for the ease of those who are less than fluent. Not to mention that klafte comes from the Hebrew kelev [dog]; what a strange thing for mother and son to be united over a pejorative term for a woman, in the feminized language of Yiddish. Nevertheless, plenty of prejudice against Yiddish and Haredim still exists in Israel today. Weiss, Shayna. “Shtisel’s Ghosts: The Politics of Yiddish in Israeli Popular Culture.” In geveb, March 2016: https://ingeveb.org/blog/shtisel-s-ghosts-the-politics-of-yiddish-in-israeli-popular-culture. Weiss, Shayna. “Shtisel’s Ghosts: The Politics of Yiddish in Israeli Popular Culture.” In geveb (March 2016): Accessed Apr 21, 2019. 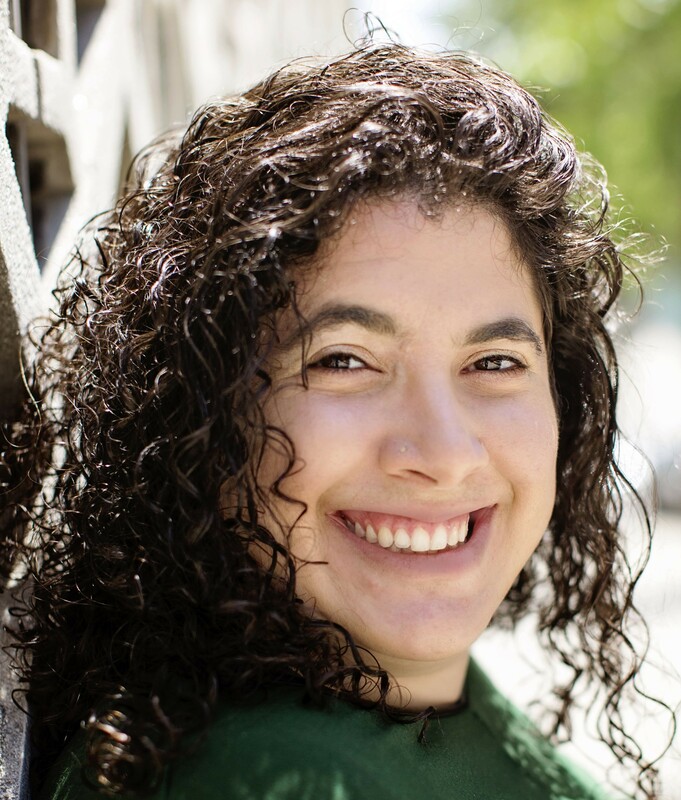 Shayna Weiss is the Distinguished Visiting Scholar of Israel Studies at the United States Naval Academy.